Greek Contemporary Art and the Refugee Crisis. A Genuine Response or a Fashionable One? For the past ten years, Greece has been experiencing a tumultuous economic and political situation with massiveriots, multiple political crisis and elections that shattered political, economical and social stability, compounded by the refugee crisis. 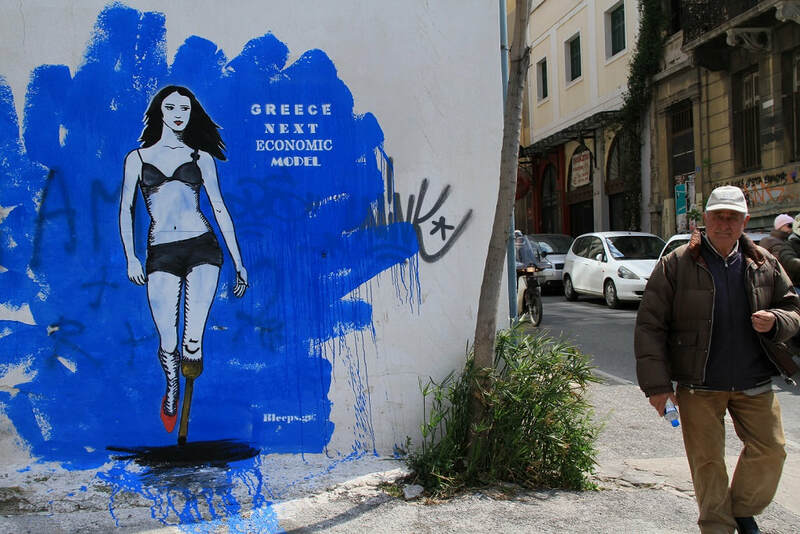 Art and culture have been affected,nevertheless, it has been posited that the crisis has probably further enhanced production, international visibility and mobility in the Greek artistic field. This interest appears to eco predominantly a certain leitmotif; artistic creation is encouraged or has emerged directly as a response tothe economic and humanitarian crisis. Thisrhetoric suggests that art and subversive politics, creativity and social turmoil are closely interrelated. In retort, it is pointed out that this approach is either part of a bio-political program of control, or the fashionable response of a cosmopolitan elite,institutions and high profile artists to the problems of global capitalism. This presentation attempts to investigate the transformations of “the contemporary art in crisis” in the Greek socio-cultural context.